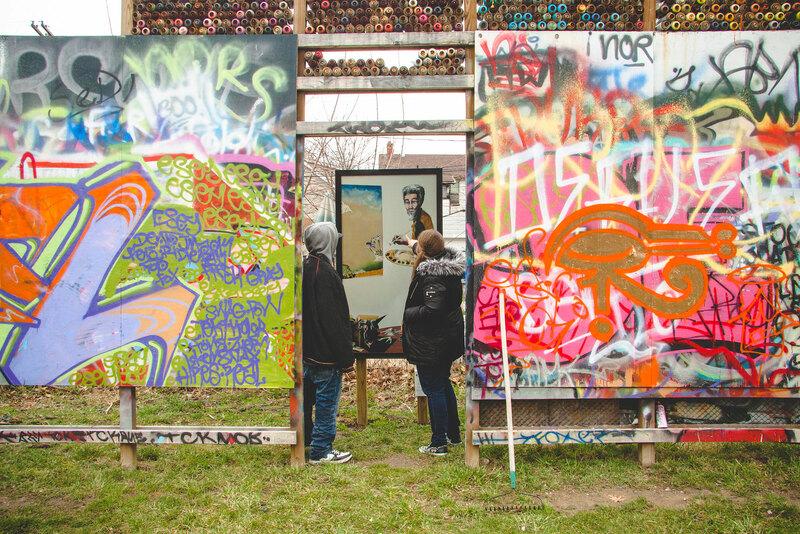 In Southwest Detroit, a youth artist collective called Young Nation, along with The Detroit Collaborative Design Center, spearheaded a project to transform derelict alleyways into beautiful social spaces. 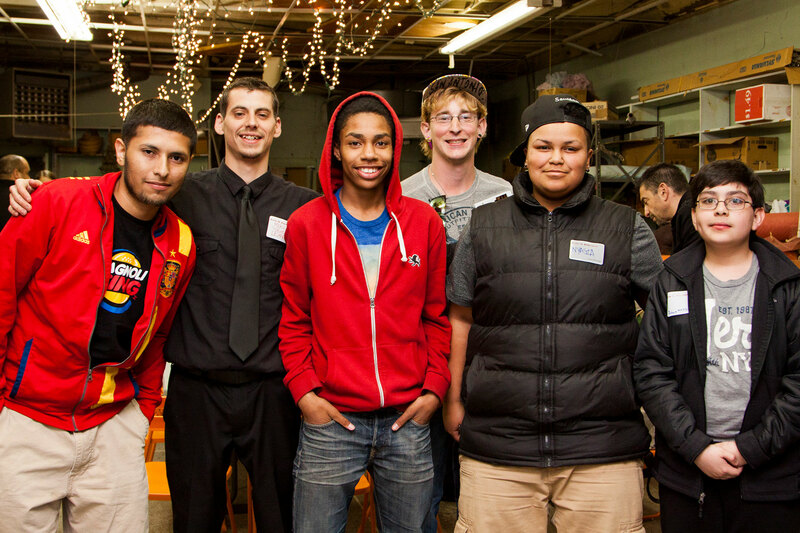 Together they transformed two vacant lots and a detached garage in their neighborhood into a vibrant public place. 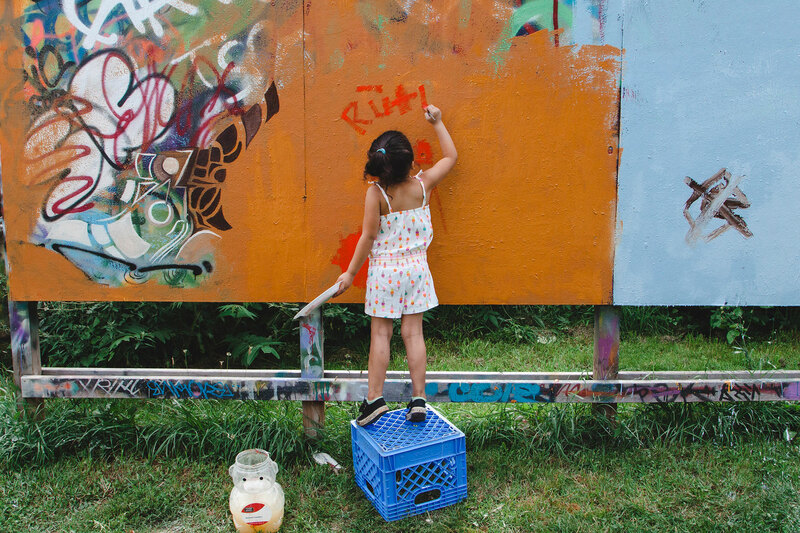 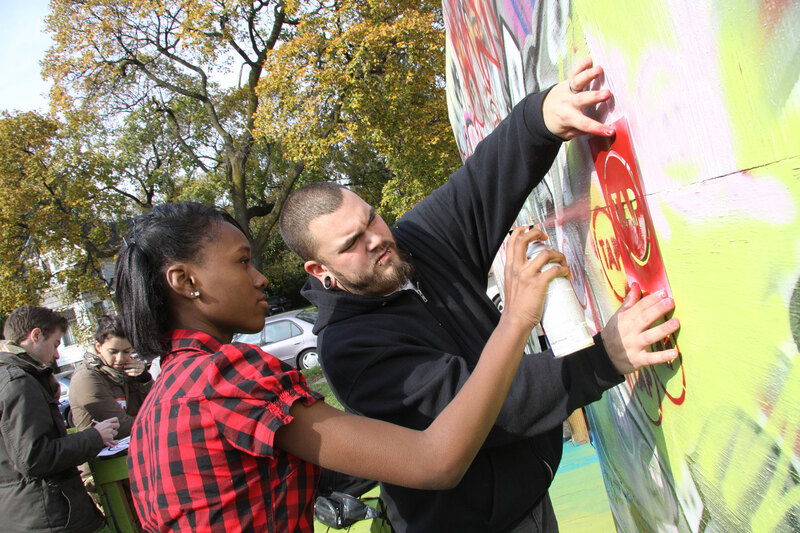 Today, the garage doors are canvases for art work, the abandoned lots serve as gathering spaces for kids to play after school, and the garage itself is a clubhouse/studio space for youth. 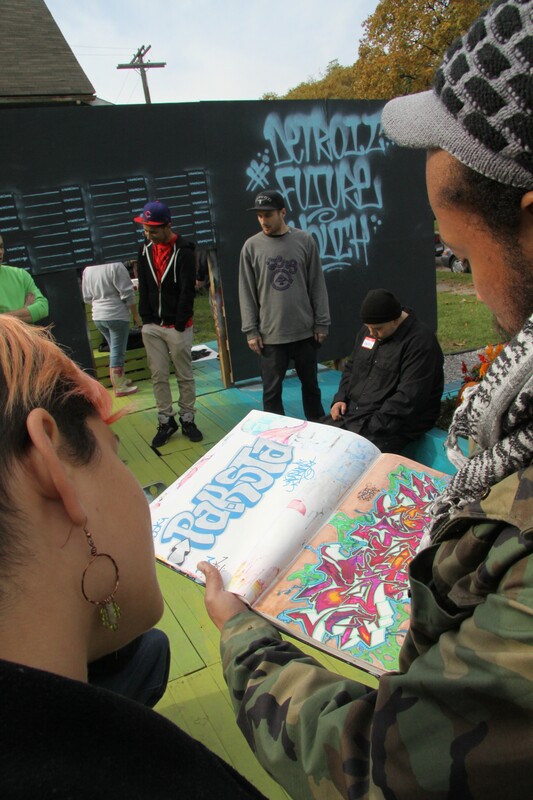 At this new hub, the group also hosted the inaugural Detroit Design Festival’s art battle, and the project has since been expanded to include a variety of street art initiatives. 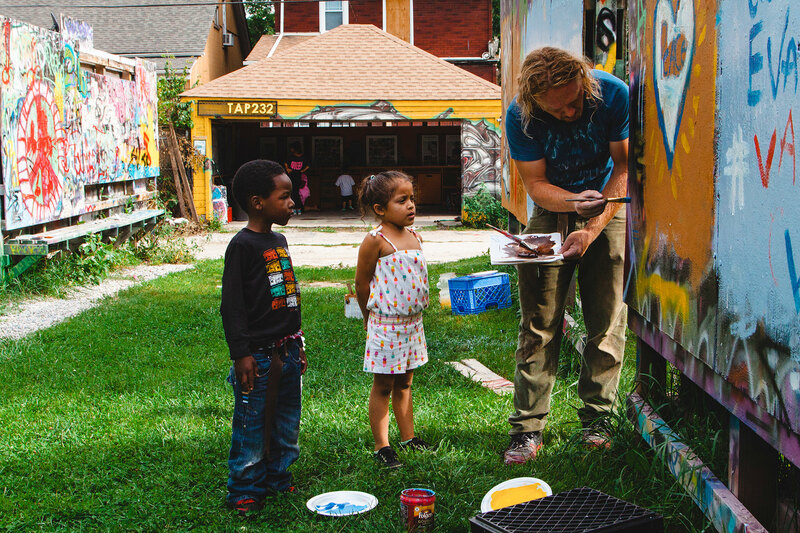 Despite having limited resources and minimal investment, the Alley Project succeeded in building community engagement, strengthening a sense of ownership pride in the area, and bringing life to a previously overlooked space.